Artists residing in the United State are invited to submit one or two current works in any media for National Art Encounter 2012-13. The fine art exhibition will be installed on the ground floor and second level of The von Liebig Art Center in six galleries. National Art Encounter 2012-13 will be on view from December 8, 2012 through January 26, 2013. The von Liebig Art Center is located in Naples, Florida in the heart of the 5th Avenue South shopping, dining and arts district. $2,500 in cash awards will be presented to artists during the Preview Reception on Friday, December 7, 2012. Attendance during the reception is encouraged, but is not required. Award checks will be mailed to winning artists who are unable to attend. Margaret Miller has been with the University of South Florida since 1970; she is tenured as a full Professor in the School of Art and Art History and has served as the Director of the USF Contemporary Art Museum from 1978 to 2001. In 2001 she was appointed to also serve as Director of USF’s renowned art production atelier, Graphicstudio. The Contemporary Art Museum with Graphicstudio and the Public Art Program forms the Institute for Research in Art. The Museum, Graphicstudio and the Public Art Program are dedicated to presenting exhibitions and commissioning work by internationally significant emerging and acclaimed artists. Miller holds a Master of Arts degree from the University of Hawaii in Oriental Art History. During her more than forty years at USF, she has taught on both the undergraduate and graduate levels, specializing in contemporary art. As an administrator she reports to the Dean of the College of The Arts that includes the School of Art and Art History, the School of Architecture and Community Design, the School of Music and the School of Dance and Theatre. Miller has organized, curated and authored catalogues for numerous exhibitions beginning in 1976 with The Figure as Form, and followed by Realism and Metaphor, 1978. These related exhibitions focused on figurative and narrative painting. Made in Florida, 1989, an exhibition of 22 artists producing art in Florida toured three European cities in France, Spain and Belgium and six Florida museums and served as a catalyst for originating significant international exchanges. Miller has also served as a collaborator on several major exhibitions including Transparence/Transcendence, a show of international artists working with light and photography that originated in Aachen, Germany with Uli Bohnen as curator and subsequently toured Florida; Re: Fab: Painting Abstracted, Fabricated and Revised, a reconsideration of the form/function of abstract painting in contemporary culture curated by Shirley Kaneda and Rochelle Feinstein. In June of 1997 she was selected, with Tampa-based independent curator Jade Dellinger, by the United States Information Agency to curate and present the U.S. participation in the 22nd International Biennial of Graphic Art in Ljubljana, Slovenia. Recent projects of note include a major exhibition with American artist Allan McCollum, The Event: Petrified Lightning from Camp Blanding for the USF CAM and Tampa's Museum of Science and Industry (MOSI), as well as the organization and tour of Atelier van Lieshout with Dutch artist Joep van Lieshout, traveled to the Cincinnati Art Center and Miami’s Museum of Contemporary Art and Lucy Orta: Nexus Architecture and Connector V, which premiered at CAM in October of 2001 and was traveled to Florida Atlantic University, Boca Raton and the Southeastern Center for Contemporary Art (SECCA) in Winston-Salem. In 2002 she co- curated with Amy Cappellazzo the inaugural exhibition, Active Ingredients, for COPIA-The American Center for Wine, Food and the Arts in Napa, California. Miller oversees the development of print projects and exhibitions with Christian Marclay, Alyson Shotz, Jia Aili, Iva Guergeueva, Teresita Fernandez, Trenton Doyle Hancock Vik Muniz, Ed Ruscha, Janaina Tschape, Burt Barr, Trisha Brown, James Rosenquist, Iva Allan McCollum, William Wegman, Trenton Doyle Hancock etc. Miller served as president of the Florida Art Museum Directors Association (FAMDA) from 1984-1986. She has been active as an advisor and panelist for Florida’s Division of Cultural Affairs and the National Endowment for the Arts. She is an active member of the Contemporary Art Museum Directors (CAMD). Corrina Peipon is Assistant Curator at the Hammer Museum in Los Angeles, where her curatorial projects have included exhibitions from the permanent collection as well as one-person exhibitions with artists including Carlos Bunga, Alex Hubbard, Lucy Raven, and Jonas Wood as part of the Hammer Projects series. In 2012, she curated a special project with T. Kelly Mason. Since 2010, she has overseen the acquisitions committee for the Hammer Contemporary Collection, the museum’s growing permanent collection of works from the post-war period. Dulce Román joined the staff of the Harn Museum of Art in 1999 and was appointed to her current position in 2001. She is responsible for the development and management of the Harn’s collection of modern art, which includes nearly 1,000 works from the United States, Latin America and Europe. In her role as curator of modern art, Román has curated a number of original exhibitions, including Uncommon Glazes: American Art Pottery, 1880 – 1950 (2009);Paradigms and the Unexpected: Modern and Contemporary Art from the Shey Collection (2008);From Dürer to Renoir: European Prints from the Harn Collection (2007 – 2008);Picturing the Times: Prints and Photographs from the New Deal Era (2006); Ansel Adams: Visualizing the American Landscape (2004); andSantos: Contemporary Devotional Folk Art in Puerto Rico (2003 – 2004). Recent publications includeAmerican Selections from the Samuel P. Harn Museum of Art (2009) and two exhibition catalogues,Paradigms and the Unexpected: Modern and Contemporary Art from the Shey Collection (2008) and Santos: Contemporary Devotional Folk Art in Puerto Rico (2003). Prior to joining the staff of the Harn Museum, Román served as a researcher of Spanish art at the Frick Collection in New York from 1992 to 1996 and the department of European paintings at the Metropolitan Museum of Art in New York from 1996 to 1997. Román holds a bachelor’s degree in psychology from Harvard University and Master of Arts and Master of Philosophy degrees in art history from Columbia University in New York. Founded in 1954, the Naples Art Association at The von Liebig Art Center is located in downtown Naples and presents changing exhibitions of contemporary art by regionally, nationally and internationally recognized artists. The Naples Art Association’s education program offers professional studio art courses and workshops in painting, printmaking, drawing, photography, ceramics, sculpture and applied arts. Five major outdoor art festivals are held annually and Art in the Park, an NAA members’ outdoor art festival, is held the first Saturday of each month from November through April. During National Art Encounter 2012-13 galleries in The von Liebig Art Center will be open Monday - Saturday from 10 AM until 4 PM. Although membership is not required, artists entering National Art Encounter 2012-13 are invited to join the Naples Art Association and receive a discount on their entry fee. Membership offers many exciting benefits. For more information on becoming a member, visit http://www.naplesart.org/content/become-member or call (239) 262-6517. One of the many benefits of membership with the Naples Art Association is the opportunity to display and sell artwork. Upcoming opportunities include: The Fifth Annual Non-Juried All Artist Members Show of Shows Exhibition, August 27 - October 6, 2012 (registration deadline August 1, 2012); four exhibitions will be held in the Members’ Gallery between October 2012 and April 2013; Art in the Park is a members only outdoor art festival held the first Saturday of each month from November through April and Words, Signs and Symbols: A Themed NAA Member Exhibition is scheduled for April 27 - June 1, 2013. For information on upcoming exhibition opportunities visit http://www.naplesart.org/callforartists. There are two entry categories: 2-dimensional artwork and 3-dimensional artwork. Select one entry minimum and two entries maximum. In the 2-D category only one image per entry. In the 3-D category you can upload a maximum of three images to show alternate views of the work. 2-dimensional artwork : maximum width 108 inches and height 108 inches (including frame if artwork is framed). Artwork must be ready for display. Framed works must be sturdy. Glass may be used only if frame is smaller than 26 x 26 inches. For safety reasons, larger frames requiring a glazing must have Plexiglas. 3-dimensional artwork : maximum dimensions 60 x 60 x 60 inches with a maximum weight 60 lbs. Ceiling suspended artwork not to exceed a total weight of 5 lbs. Artists residing within any of the fifty States in the United States of America are cordially invited to enter one or two images of original artwork created after January 1, 2010 and not previously exhibited at The von Liebig Art Center. An artist may enter a maximum of two artworks. Prints produced from original works of art are not eligible. Membership in the Naples Art Association is not required. Accepted artwork must remain on display for the entire duration of the exhibition. Your entry fee entitles you to enter a total of two artworks. Once you have created the application click the “Pay Now Button” to pay online for your application and complete your entry process. Applications will be accepted online until September 12, 2012. The non-refundable entry fee is $29 ($22 for current Naples Art Association members) and is payable online by credit card. To view the results for your entries, log into your Juried Art Services account on or after October 18, 2012 and go to “applications.” Click on each entry to read complete results notification. An artist’s statement will be mounted near each artwork in the exhibition. Artist’s Statements are included in the exhibition to provide insight and information for gallery visitors, docents and art collectors. Artists with artwork accepted for the exhibition who wish to update their artist’s statements may do so by e-mail before October 26, 2012. Unless updated by the deadline, the artist’s statement uploaded with your Juried Art Services entry will be used for the exhibition. Artwork accepted for National Art Encounter 2012-13 may be hand delivered or shipped to Naples. Accepted photographs must remain on display for the entire duration of the exhibition and cannot be removed from The von Liebig Art Center until 4 PM Sunday , January 27, 2013. Shipping Your Accepted Artwork: Accepted artwork may be shipped to ARTMove LCC in Naples, Florida to arrive by no later than November 19, 2012. Exhibitors are responsible for the cost of transporting their artwork to and from Naples, Florida. Shipped artwork must include a FedEx or UPS prepaid return shipping label or Airbill. Shipping to P.O. Boxes is not permitted. Place the prepaid shipping label or Airbill in an envelope and attach it to the outside of your shipping container. ARTMove LLC will receive and return all shipped artwork. The ARTMove LLC shipping address and contact information will be provided to all applicants whose artwork is accepted for the exhibition. Use care when packing your artwork. Cushion frame on all sides with at least 4 inches of packing material and pack in a sturdy shipping carton. Popcorn (loose foam) is not an acceptable packing material as it will allow your artwork to shift during transit. Airfloat Systems sells excellent cushioned-shipping “Strongbox” containers that are sturdy and reusable. See www.airfloatsys.com. FedEx Office locations sell lightweight boxes specifically designed for shipping framed artwork http://www.fedex.com/us/office/services/packandship/supplies.html. Please note: The Naples Art Association and ARTmove LLC are not responsible for artwork damaged during shipment. The NAA reserves the right to disqualify damaged artwork from the exhibition. On Friday, December 7, 2012 from 5:30 - 7:30 PM the NAA will host a Preview Reception and Awards Presentation at The von Liebig Art Center. Each exhibiting artist is eligible to bring one non-member guest to the reception free of charge. Artwork exhibited in National Art Encounter 2012-13 may be available for purchase or listed as NFS (not for sale). Once stated, neither the price nor title of artwork may be changed. The NAA processes artwork sales and will retain a 30% commission on all artwork sold during the exhibition. 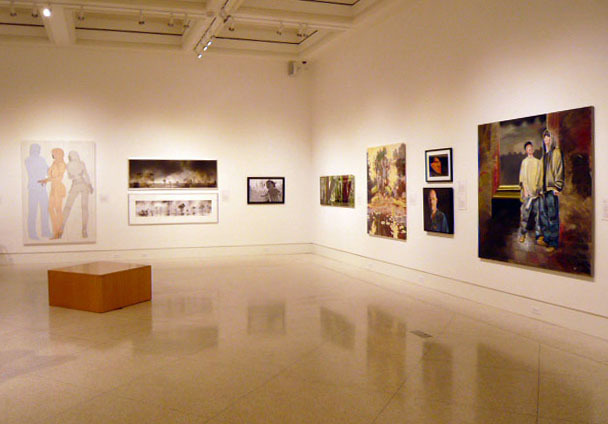 Proceeds from artwork sales support the NAA’s exhibition programs. Artists’ proceed checks will be mailed. Artists should receive their checks within three weeks from the close of the exhibition. All unsold artwork will be available for pick-up from 4 to 6 PM on Sunday, January 27, 2013 from 4 - 6 PM and from on Monday, January 28, 2013 from 10 AM to 2 PM. Artwork should be picked-up during scheduled pick-up dates. Shipped artwork will be returned shipped by ARTMove LLC in Naples the week of February 4, 2013. Due care will be taken with all artwork. However, the Naples Art Association will not be held responsible for loss or damage to exhibited and/or shipped artwork. Artists may wish to acquire insurance to cover loss and/or damage.